What is the common factor amongst Apple CEO Tim Cook, Cisco CTO Padmasree Warrior, Starbucks president Michelle Gass, Founding Father of the United States Benjamin Franklin? Apart from being successful, they all attribute the most crucial factor for their success to their waking up early in the morning! A german biologist Christoph Randler in 2010 found in his research that early risers are more likely to anticipate problems and be proactive and thereby have a productive mindset. You can not only accomplish a lot from your ‘list of things to do’ when you get up early but also you’ll find yourself breezing through the rest of the day with a sense of achievement, feeling lighter and most importantly with significantly less anxiety. When I look around, I see people on a perpetual ‘catch-up’ mode at their work places leaving hardly any time for family, friends and other meaningful pursuits in their lives. I believe this is the number 1 factor for stress in the lives of millions of people across the world today! Think about it, if you woke up 1/2 hour early everyday, you will have gained 300 extra hours in a year! A well known writer I read about regularly, said in those 300 extra hours that he gained in his life last year, he wrote 6 books, started 3 new businesses, completed an Honors degree and all this keeping his day job! That’s a lot of achievement, isn’t it? In my own life, I noticed that whenever I woke up early, my productivity was almost always higher, not just in the morning but all through the day and I also felt a significant feeling of well-being. It is recommended by all the old sages and teachers in the yoga tradition, especially in the Bhakti or devotional schools, that if one is serious about a yoga-based lifestyle, one should be awake and performing some spiritual activity during the brahma-muhurta. The brahma-muhurta begins approximately one and a half hours before sunrise. It is generally accepted as the most auspicious time of the day to perform spiritual practices. During this time of day the world is peaceful and the influence of the modes of passion and ignorance are less thus enabling us to focus more on our spiritual practices. Leading a regulated life helps us to overcome the influence of the modes of material nature and thus be situated in a position more conducive to developing a higher state of consciousness which is the means to a life of peace, unlimited happiness and fulfillment which everyone aspires for. But I must admit, waking up early did not occur to me naturally. I’m still training myself to become a natural early riser. The benefits are well known but the question is how do I become successful in waking up early…everyday, for the rest of my life? There are lot of articles that teach you techniques to get up early but I really like one tip from a well researched piece of information. This research shows that we sleep in cycles and an average sleep cycle (of transition, light sleep, and deep sleep) is about 90 minutes. Which means that even if you’ve enjoyed a full night’s sleep, getting out of bed can be difficult if your alarm goes off when you’re in the middle of deep sleep. So, if you want to make a more realistic attempt at getting up early, set up a wake-up time that is a multiple of 90 minutes. For eg: If you go to bed at 10pm, set your alarm for either 4.00am or 5.30am (if you need your 7 hours of sleep) instead of 5.00am or 6.00am. You may feel more refreshed at these times than if you add an extra 30 to 60 minutes of sleep because you’re getting up at the end of a sleep cycle when your body and brain are already close to wakefulness. You see that in our own experiments with sleep & waking up, sometimes you wake up feeling fully refreshed and sometimes very groggy irrespective of the number of hours of sleep is because of this very reason! This is the reason that most attempts such as trying to wake up 1/2 hour earlier than your normal time usually fails. Steve Pavlina best known for his polyphasic sleep experiments, writes that the success mantra for early rising is to get up at the same time every day. I believe in the truth of this statement. It is also recommended in ancient Indian Vedic Scriptures that one should get up at the same time everyday. So, you have to decide what is the right time to wake up for you (consider factors such as realistic number of hours of sleep for your body type). But here comes the hard task! The alarm clock, which unfailingly goes off. Are you inspired and motivated enough to wake up right away or your mind cajoles you into stealing those 5 precious minutes of extra sleep and you wake up after two extra hours of sleep! Well, let me reassure you that this is the most common problem in the world. The proof is in a new emerging market for alarm clocks with ingenious designs to get you to wake up! If you are caught in this trap of snoozing the alarm, please know that by repeatedly doing it everyday over several years, you have conditioned the habit into your subconscious. Every time you fail to get up when your alarm goes off, it becomes ever more your default physiological response. If you want to change that behavior, you’ll need to undertake a conscious reconditioning program. How do you do that? Your willpower alone might not help you get out of the bed. Remember you have conditioned yourself to doze off and made it your default physiological response. There are other factors such as ‘brain fog’ i,e your brain isn’t yet fully conscious and alert and decisions you make in this state aren’t necessarily the ones you want to trust! Instead, you can adopt a simple techniques you learnt as a kid and replicate them! During my schooldays, I seldom used the alarm clock, I used a practice my mother taught me. Previous night, just before falling asleep, I would keep affirming my mind that I want to wake up at 4.00am and pray to the Lord to enable me to get up and lo! I would spring up from bed, dot at 4.00am! One way that Steve Pavlina suggests that sounds interesting is to switch off the conscious mind and turn to your subconscious mind and repeat the practice of getting up, till you become skilled at it. Its called Rote memory function. Eventually your subconscious will take over and run the script on autopilot. It might sound too simplistic but you have to get up immediately after the alarm goes off, without allowing your mind to think anything at all. Cut your conscious mind out of the loop because its very easy to convince yourself of a multiplicity of reasons why you wouldn’t want to get out of the bed yet. Don’t even allow those thoughts-just get up! With practice, he says, you’ll condition a new physiological response to the sound of your alarm. When your alarm goes off, you’ll get up automatically without even thinking about it. The more you run the pattern, the stronger it will become. Eventually it will be uncomfortable not to get up when your alarm goes off. The more you practice your wake-up ritual, the deeper you’ll ingrain this habit into your subconscious. You only have to go through the conditioning period once, then you’re set for life and it will eventually become your favorite ritual. I particularly like this suggestion because it has worked for me, to just mindlessly get up instead of using the mind and failing to get up. Ofcourse, during these trials, in the beginning, I would feel that I am not getting enough rest (but guess what, its a psychological trap! ), this phase will only last for a short time while your body adjusts to the new settings, so some naps may be necessary. But if you stay with the schedule, you will find that after a while that you will automatically wake up early without difficulty. If you decide to adopt this schedule, it will honestly take you about two weeks to adjust to it physically, but the rewards are beyond belief. One other factor that support early wake up that I use is eating a super light dinner e.g, a soup or a glass of milk 2 hours before sleeping or eating nothing at all. By eating a heavy meal at the end of the day you force the body to stay awake instead of giving it much needed rest and that is the reason for feeling sluggish in the day. Finally, I would like to add that it is very easy to fall back to old bad habits unless one is consciously practicing it, every day of your life until the habit becomes natural to you. So, choose a mechanism to keep you going and motivated. I suggest practicing early wake up with a group of enthusiasts, exchanging notes and celebrating success! My prayers for your success! Amazing and wonderful tips, i myself struggle very hard to get awake each day, even after long hours of sleep, hope i am able to implement some of them. Wish me luck…..
We appreciate very much these wonderful tips for waking up early in the morning which most of the people are trying in this modern day world. Really, It is very important habit to get up early in the morning. all glories to all Vaisnavas. Thank you mataji for a wonderful article. This topic is the biggest problem and the need of the hour. My million times dandavats to you again for such a wonderful article. A very practical guideline for rising early in the morning. I will surely apply these tips! Wonderful and most relevant article, especially for the modern man! Many thanks for the wonderful tips on raising early!! Very well researched article on this most vital topic! I particularly liked the point on sleeping multiples of 90 minutes. Very nice article on the importance of awaking early every day! So many realistic steps.. Thank u very much.. actually a much needed article for many ..,. very inspiring article.. will surely resolve to wake up early and follow what Bhagavad Gita says. thanks for writing. Thank you for sharing these wonderful practices and habits of important personalities to help us live an ehanced life! very nicely explained.. i will try to use this tips in my life to get up early in the morning.. Thank you for sharing this wonderful article on how to raise early in the morning which gives us lot of time to do many things. One of the most practical and useful websites I have read on regulated sleep and early rising. Some great tips are given on the subconscious mind. Thank you! nice practical tips… thanks for sharing.. this is probab the most important aspect of our planning. This website really tackles some important issues that modern leaders overlook. One of the best article I’ve read on early rising – thank you! Hare Krishna prabhu ji. Really getting early is very much benificial especially for those who aspire to progress in Krishna Consciousness. Thank you for giving us a solution to get up as soon as the alarm rings as it is one of the most difficult things to do! Very inspiring article regarding importance of waking up early morning. Thanks for sharing.I should train my mind to remind me to wake up early. I am fortunate to come across this article. Most of the time I fail to raise early. This is a perfect article for me. I will try my best to implement these tips. Thank you very much for sharing. Thanks for sharing this wonderful article, which should be understood properly and practiced for our spiritual elevation. The article almost matches my efforts and failures to get up early in the morning and complete my Japa meditation before morning rat race starts.Very nice tips are given herein by author therefore the article is complete in all respect.Thank you very much. very worth to read who want to regulate their sleep. Thank you for sharing how these health benefits can help us with our spiritual life. In this era of degradation when people have changed their pure ways of living, succumbing to their most base temptations, saints like Radhanath Swami Maharaj are dedicating their whole lives for bringing about a positive change in society. We must sincerely try to follow them. Great tips and pointers to help with this important aspect of our lives. This is one of the most useful article in my day to day activities. If able to implement properly, there is no doubt that I can regularly do the morning spiritual activities in Brahma Muhurta period. Thanks a lot for sharing this article !!! Very helpful and an effective solution for a practical problem faced my many at least me. Discipline and regulated life style is the basic foundation for anybody to achieve the highest goal. Especially spiritual progress is much depend on our regulated life. Thanks for sharing examples of saintly people to make us realize and practice the importance of this activity. 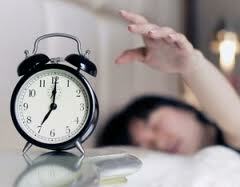 We very much appreciate this wonderful article which we are trying to follow and we find more time when we wake early.